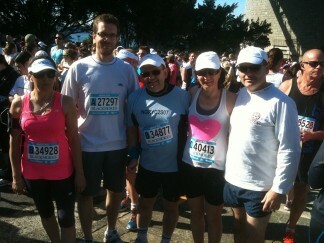 The Harbour Bridge Run by Team Wairoa, raised over $2100 for the school. By now the tax deductible receipts for those who have donated, should have been received. Please contact the school if you have not received your receipt. 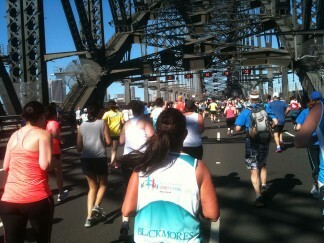 Alex ran an impressive 45min, followed by Crystal and Mark on 55min. Roni was over the line with 60min and yours truly was through with 67min. Often, the hardest part of these runs is the other runners. There are a lot of people to avoid at certain areas of the run. The best part is on the deck of the bridge. You have all the lanes! 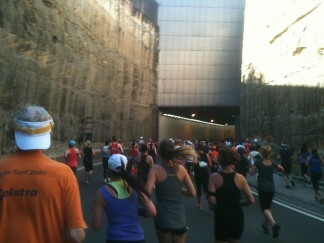 This year we again ventured down the “corkscrew” tunnel off the bridge that leads on to the Cahill Expressway. From there it is down to Macquarie St, then College St to the end of Hyde Park. We turn right into Art Gallery Rd, down to Lady Macquarie’s Chair, and loop back to Macquarie St and turn down to finish at the Conservatorium of Music. The finish is an issue at the Conservatorium of Music. You run (or try to sprint to make up time) along on a road but at the finish line you are confronted with a wall of people now walking down a wide pedestrian path lined by trees. You have to be very careful! Just a recap on why we do these runs. My eldest son James has autism with limited speech and attends Wairoa Special School. Donations can be sent to school by logging on to the website at https://give.everydayhero.com/au/anthony-8. TEAM WAIROA – Roni, Crystal, Alex and Mark – YOU ARE AGAIN LEGENDS.